Anyone else absolutely obsessed with tuna tartare, but think of it as an expensive starter that you’d never imagine you could make yourself at home? Well, I have some great news. You can! In no time at all you can make triple the portion of tuna tartare you’d be served in a restaurant and pay pennies in comparison. This is such a light, feel-good dish, and is always bound to impress both you and guests. I love it with heaps of my Avocado Cream as I think the flavours and textures are absolutely delicious together, and if you fancy adding another dynamic try scooping it all up on a salty tortilla crisp. Absolute food heaven. As well as being seriously delicious this dish is also incredibly healthy. 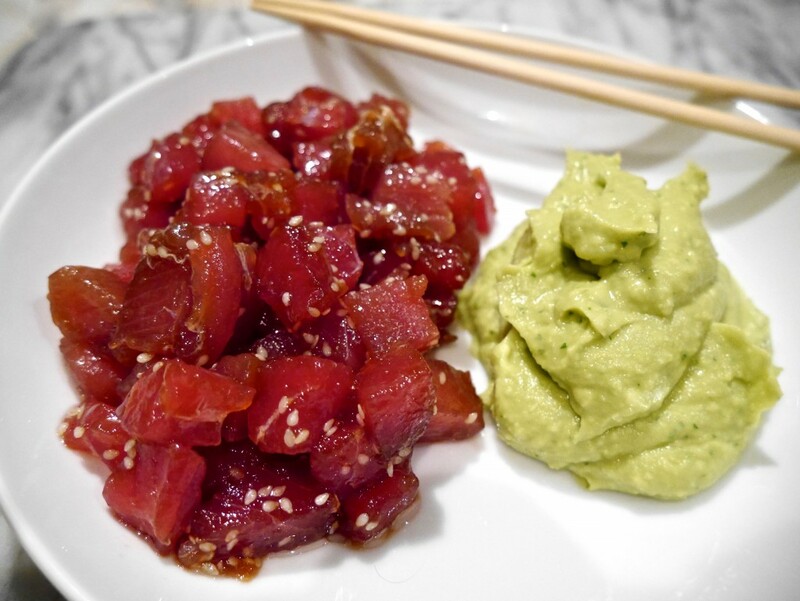 Tuna is full of protein and omega-3 fatty acids, which helps make our muscles, nails, skin & hair strong, and maintain our blood pressure and improve our heart health. Avocados are amazing for us as they contain in excess of 25 essential nutrients, and their oleic acid content aids our body’s absorption of nutrients, so you really make the most of all the goodness in this meal! Avocados are also full of antioxidants to boost our immune system and give us that healthy glow. So get stuck in! 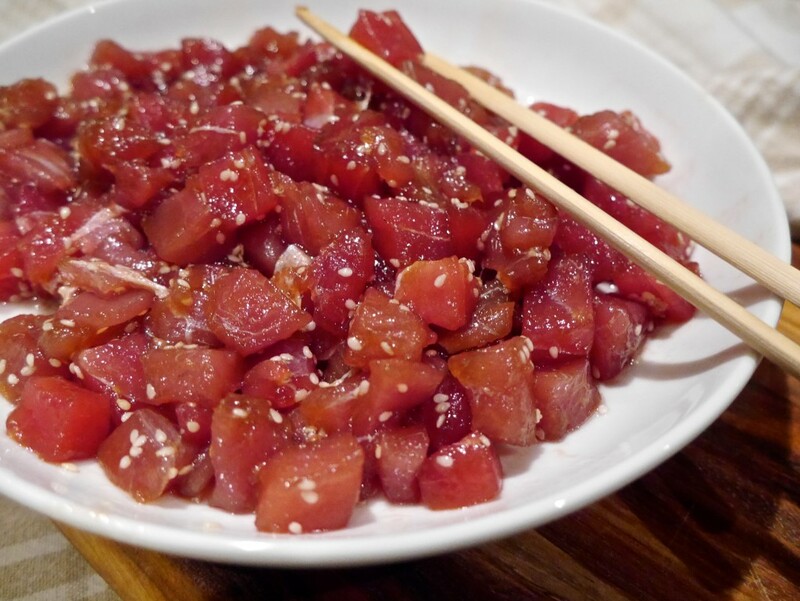 Chop the tuna into cubes (roughly 1cm by 1cm). 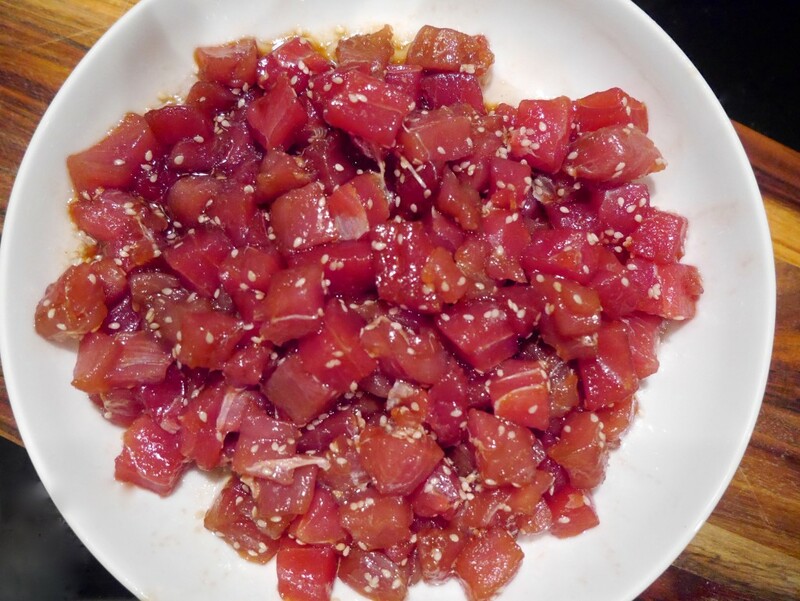 Place the cubed tuna in a bowl. Add the sesame oil, tamari & sesame seeds. 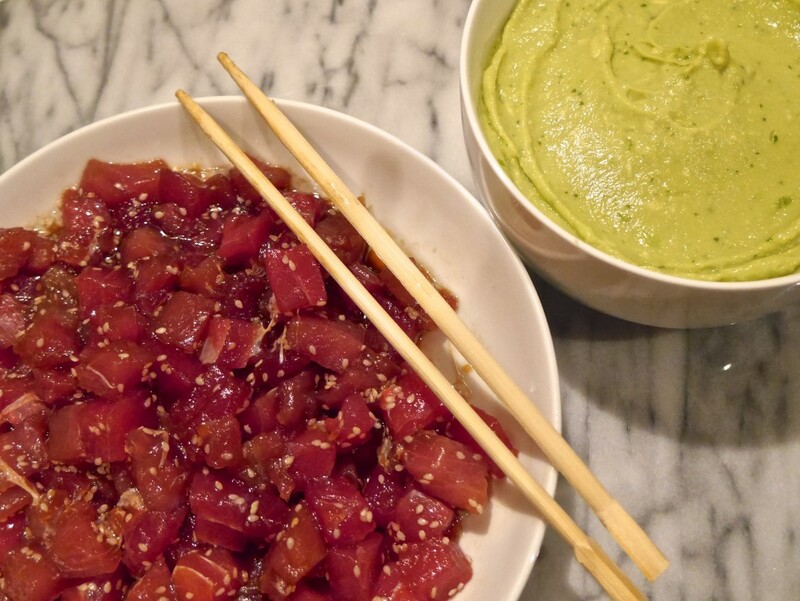 Using your hands, make sure every piece of tuna is covered in the marinade. Serve with my Avocado Cream (and tortilla crisps if using).